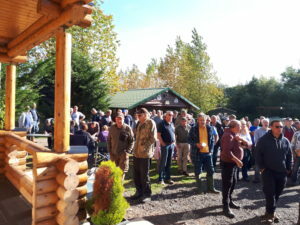 On Saturday 15th September we held the Complete Smallholders’ Dispersal Sale on behalf of Mark and Alex Cooper and Log Home Farm, Chadwick End, which continued yet again with our run of good weather. We really have been lucky throughout the summer and early autumn! 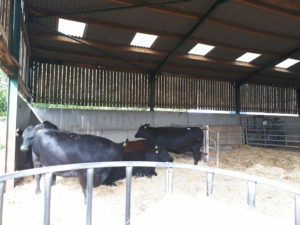 The sale not only included a tractor, vehicles and farm machinery, but also livestock and the contents of the organic farm shop, which drew a large crowd interested in the wide variety of items on offer. 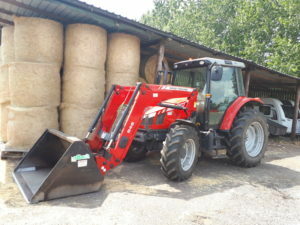 The top price of the day was for the Massey Ferguson 5540 Dyna-4 Tractor which realised £34,400. A summary of items sold is listed below. 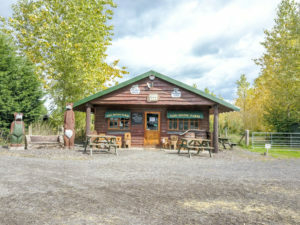 We are also pleased to be able to offer the farm itself for sale, including a 4-bed Finnish Log Home, 28 acres of pasture and several useful buildings. You can view the full particulars here. 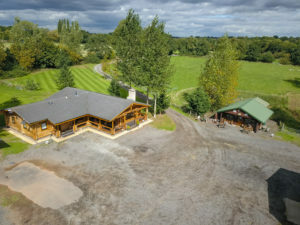 Please contact Jennifer Whitton or Joshua Peat on 01788 564680 for more details.